Band Aids® won’t help these potatoes? Like humans, potatoes develop scabs. Although they look similar – raised, rough, brown growth on the surface of the skin – they are fundamentally different. The scabs you got when you scraped your knee as a child are part of the human body’s natural healing process. When the scab finally falls away, new, unblemished skin is left underneath. 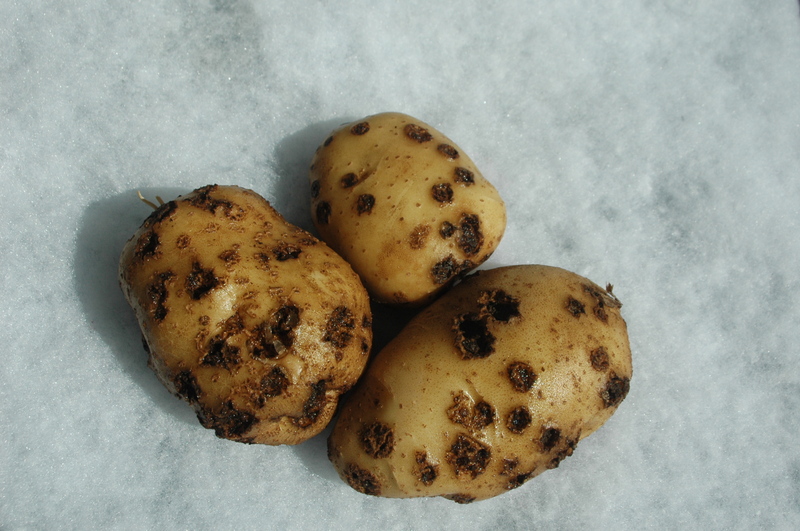 In contrast, potato scabs are a disease that infect the tuber skin; these scabs don’t heal and can even get worse as the disease progresses. 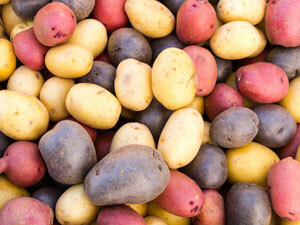 A better name would be “potato ulcers.” Ulcers are open wounds that are slow to heal, originally thought to be caused by factors such as stress or skin irritation but later, were shown to actually be caused by bacteria.